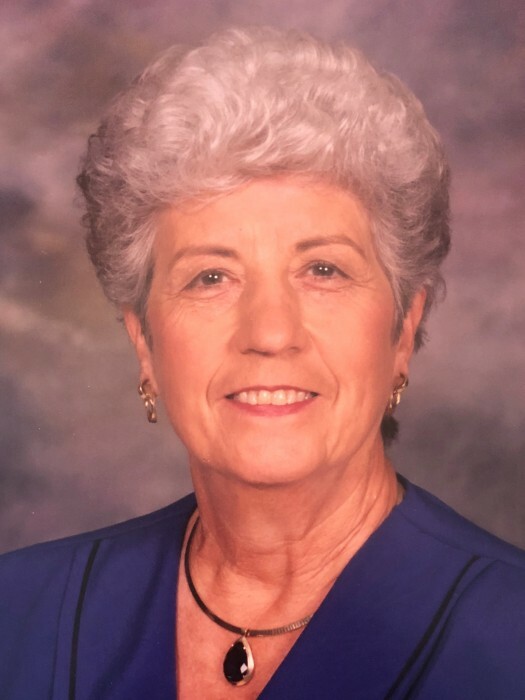 Mrs. Peggy Ashburn Calloway of Raeford passed away on Saturday, July 7, 2018 at FirstHealth Hospice House in Pinehurst at the age of 88. Mrs. Calloway was born in Surry County, NC on January 20, 1930, to the late Fred L. Ashburn and Stella Bruner Ashburn. She was preceded in death by her husband, Ralph J. Calloway and her siblings, Hessie Ashburn, Wade Ashburn, Louise Ashburn Manning and Bobbie Ashburn Stone. Mrs. Calloway was a member of Raeford First Baptist Church. She retired in 1990 from Burlington Industries. After her retirement, she became a tour hostess with American Tours and a volunteer with Liberty Hospice in Raeford. She is survived by a son, Larry Calloway and his wife Gail of North Myrtle Beach, SC; two daughters, Nancy C. Morgan and her husband Larry of North Myrtle Beach, SC, and Debra C. McNeill and her husband Billy of Shannon, NC; seven grandchildren Jason Calloway and his wife Hope, Brad Calloway and his wife Brandi, Jeff Morgan and his wife Beth, Jennifer Morgan, Elizabeth Hodgin and her husband Chad, Rebecca Crumpler and her husband Ray and Kimberly McNeill. She is also survived by twelve great grandchildren. A visitation will be held from 10:00 until 11:30 on Tuesday, July 10, 2018 at Raeford First Baptist Church. A funeral services will follow at 11:30 at the church with Rev. Tom Lee and Rev. Jim Smith officiating. Burial will be in the Raeford Cemetery. Memorials may be made to: Raeford First Baptist Church, 333 North Main Street, Raeford, NC 28376 or to, FirstHealth Hospice Foundation, 150 Applecross Road, Pinehurst, NC 28374.